I know. I know. It’s not even close to Monday anymore. I celebrated the American holiday weekend the obvious way, by going to Canada, and the US Border Patrol asks more questions than a typical job interview, so I didn’t have time to compile news for yesterday. 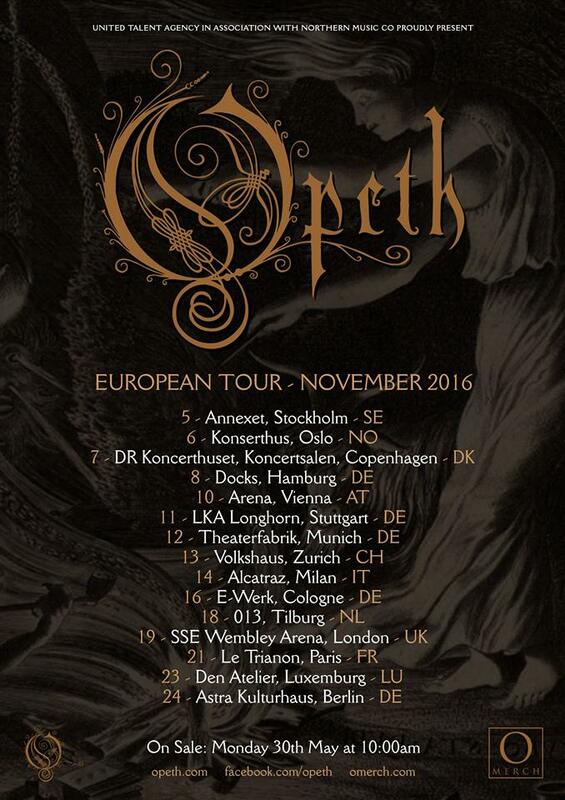 New dad-rock band, Opeth, announced a European winter tour. EmpImmortal have completed their 9th album, more information below, including some Abbath saltyness. Botanist are releasing an EP in the next few weeks and using some Beksiński artwork (rad old article from dubs) for their album cover. Japanese death-dudes Defiled have a new song up before the July 1st release. Lots of Ghost Bath news. They posted this picture on their Facebook last night. Moonlover is now on Spotify, for those of us too lazy to find another way to listen. Also they are doing a short North American tour in July and many European dates following that. Supergroup (or, if you are the ornery Bear God, Sideproject) Gone is Gone released their second song last week. Their first one is here (NSFW imagery in this one). I think I can stop paying attention to this now. The Discharge, Eyehategod, and Toxic Holocaust tour has been postponed due to visa issues, but they say new dates are coming soon. Ghost will be releasing a covers EP this fall, apparently with some intent on changing their sound a bit. I am hoping that means changing all the lyrics to spooky ghost sounds. Crowbar is hard at work on their next album with doing vocal tracks last week. More news to come. Former Municipal Waste drummer Brandon Ferrell passed away. He played on Waste ’em All in addition to work in bands Government Warning, Career Suicide, and more.